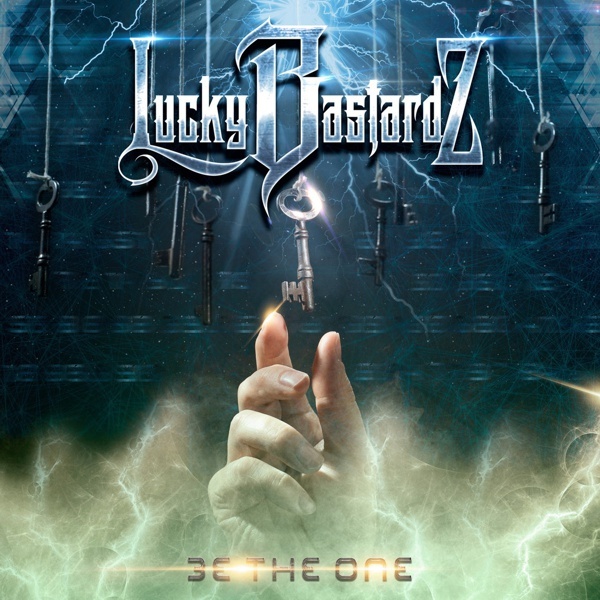 We face the preliminary listening of the new LUCKY BASTARDZ record with a special guide, the singer Tiziano Spigno and the drummer Marco Lazzarini. We asked the guys to talk about the songs with us and give some information, some insights about the creative process of the album and what we can expect from this new work in a discussion that is halfway between a track by track and an interview. 'Holy War' - A song full of energy for an opening without frills, direct and powerful. Why entrust the task of presenting the record to this song? 'All is in your mind' as you repeat in the song, is a loud and clear message ... where did you really want to hit? (Titian): "I love to talk about 'Be The One' as a semi-concept focused on the themes of inner rebirth. "Semi", as it became a concept in progress, while I realized that the themes in the lyrics and the different musical influences gave me a complete palette to outline such a path. In this sense, the dark and threatening tones of 'Holy War' were perfect as the beginning of an interior journey of rebirth, which starts from an inner contrast ("All is in your mind"). The first reading of the text can lead to religious integralism, but as a matter of fact 'Holy War' speaks mainly of conditioning to which we are all subjected daily, by the media and by those who try to make us think with their head ("Why you left all them choose for you all your life? "): What is right and what is wrong? Where's the truth? " (Marco): "As Tiziano points out, the idea of ​​the semi-concept came at a later time, when all the songs were mainly composed. Musically, 'Holy War' starts from a rhythmic idea and from a guitar riff that I recorded many months before starting to compose this album; I thought to take it up again and to develop it in a complete way. At the beginning it was not thought as an opener (honor that should have had the next 'Shed Your Skin'), but the development of the concept album led this song, musically rich in dynamics and characterized by almost creepy atmospheres, to be perfect as an opener." 'Shed Your Skin' - Another burst of hard rock at full throttle, where you don't forget the importance of melody and a catchy refrain that immediately sticks in your head. The lyrics, however, also in this case are very intense, deep and with a vein of melancholy between the lines. (Titian): "I wrote the melodic line of 'Shed Your Skin' in less than half an hour, I think. It was like a breakthrough, we wanted a fast and direct song to open the record, a real punch in face. The lyrics continue directly the open path with 'Holy War', in this case awareness begins about how we are "programmed" to think and live, and between the folds of a suffocating and repetitive daily life, an opportunity to change begins to rise: "If I try to restart again like a newborn baby's cry, will not you shed your skin?". 'My Best Enemy' - One of the characteristics that seem to emerge immediately from this record is an incredible immediacy, a bare and raw attitude, totally untarnished. 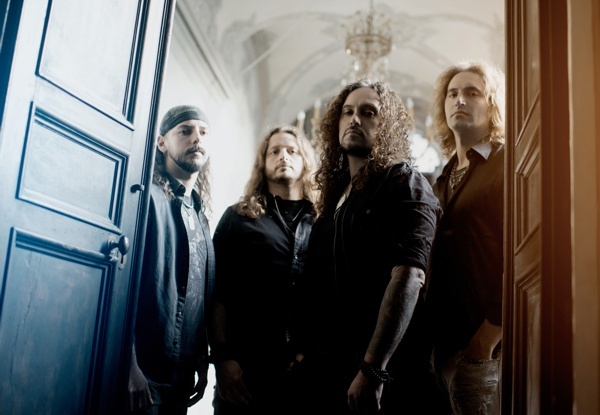 (Titian): "I'm glad you've found out what the band's attitude exactly is! I believe that the immediacy and attitude "in your face" is a bit of the Lucky Bastardz trademark, the reason why the stage is our ideal dimension: we are first of all friends that play together and a live band, not a "project". 'My Best Enemy' is the first song we started to work with and was born from my opening riff and my chorus, which Marco developed: in this case we had fun breaking the thrash genre, adding a "soul" flavour. In the concept, we are at the height of an inner revolution and the awareness becomes stronger: it is useless to look for an alibi in bad luck or blaming someone else when our life does not go as we would like to: we can be our "best enemy" sometimes. "(Marco):" Tiziano brought this melodic and engaging chours and I immediately loved it! He also had an opening riff, together with Pacio and Paolo we worked on the verse, after which I made the 'glue', adding some bridges and trying to make the structure as solid as possible. Overall, it is the song where we worked the most all together. 'Match My Rhyme '- The first taking a breath in the album, with a great sweetness and a semi-ballad character from the Nineties, with a very interesting performance by Tiziano that seems to take inspiration from the great songwriters of the Rock world. An idea of ​​Bryan Adams seems to meander in your voice, correct me if I'm wrong. (Titian): "Well the comparison with the author of some of the most beautiful Rock ballads ever honors me, thank you very much! The song starts from an idea by Marco; I developed the melodic line and the first part of the lyrics - which speaks of a secret path that leads to the top of the mountain - is my personal homage to him, which is a deep mountain lover and experienced mountain climber! As you rightly point out, this is the first power ballad on the album, a glimpse of light and peace: we begin to understand that, beyond the goal, the real secret is to enjoy the journey. "There's no need to run, when the wonder surrounds you in all" is an invitation to avoid being overwhelmed by the frenzied rhythms of life and to fully experience the here and now. (Marco): "The very first draft of 'Match My Rhyme' dates back to 2012. I presented it initially for another project (the 6008 Days, in which I was in the time). At the time Tiziano had not yet entered LBZ, the original lineup had a much more Rock'n' Roll Motorhead sound. I could never have thought of proposing a similar song: I would have been lynched! The 6008 Days project did not start and so this track remained in limbo, waiting for a new house. Years later, I decided to propose it to the guys for this album. Lyrics and vocal line have been completely rewritten. The positive atmosphere, combined with a concept that reflects me a lot, make it one of the songs I love the most. (Titian): "Here too, you hit the mark! This is the 70s Rock song of the album and, in my vocal lines, my personal homage to Robert Plant and his unique way of writing and singing in his interpretations. As you say, the influences of the album are heterogeneous and reflect our life and love the music at 360°, without idiosyncrasies. We did not bother to frame the album in a canon or in a genre: we composed freewheeling, composing together in my home studio with the guitar in one hand and a bottle of beer in the other. The themes of the song are at a high esoteric rate and contain several references to the Beltane Rite, the Celtic rite of purification and rebirth. The "House By The Sea" really exists, and it is the home of my paternal grandparents and is located in Genoa and fronts the sea. Every time I spend a few days there, I feel regenerated and feel the energy of my roots emerge from the rock on which the house stands and right there I composed most of the lyrics and melodic lines of this album in there. (Marco): "I originally wrote the song playing the acoustic guitar, then developed in electric. I have always loved Hard Rock in all its forms, from the origins of the Seventies to the most modern developments: I think that all these influences have come to light in 'The House by the Sea'. Honorable mention to Francesco 'Checco' Albertazzi, esteemed friend and musician to whom I entrusted the introduction, played with his faithful ukulele. 'Not Your Idol '- A piece that pushes the accelerator pedal to its maximum, with a great groove that detonates the massive character of the band. But once again, underlines an important theme, the search for personality in a reality where it seems to increasingly rely only on what appears. (Titian): "In 'Not Your Idol', after the peace and the party's fun, once again a challenge: abandon once and for all the conditioning, the dictates of the many pseudo-gurus and "influencers" on the web and the media and embrace who we really are, our identity that makes us unique and values of a genuine life. "I may be your friend, but not your idol." The text contains several references to "Peaceful Warrior", a movie reduction from the book "Way of the Peaceful Warrior", which for me has been nothing short of illuminating. (Marco): "This song was born just after the mini-tour in support of W.A.S.P. two years ago: the provisional title was just 'LuckyWasp'! Musically speaking, 'Not Your Idol' winks at the Bay Area Thrash Metal that I love so much. The initial risk was to end up a bit too far beyond our usual standards, working with Tiziano we thought to include a more Rock vocal line, which went to contrast the Metal atmosphere of the song. The bridge before the guitar solo I think best represents this double contamination. 'Sail Away' - Another light sigh with this delicate piece, where the spirit of Chris Cornell seems to hover and that taste of grunge rock that today often tastes odd and here instead emerges nostalgic and pleasant. (Titian): "Even here you honor me with a reference to one of my favorite singers ever! The grunge of Soundgarden and of Alice in Chains are one of my favourites, and it is normal that they often resurface in my compositions, here I believe in particular in the bridge and in the refrain. This is a song written by Pacio and dedicated to a very important person in his life, who unfortunately is no longer among us. He brought me some ideas written in Italian, vibrant and full of emotion, which I then merged into the lyrics and the line of the song. 'Sail Away', as well as a moving greeting to a loved one, is also a celebration of the power of "letting go", of knowing how to make peace with ourselves and our human nature, admiring it and loving it in its imperfection. "Even after the darkest night, the day always comes." 'No One Else But Me' - Another moment of great intensity for a song which does not lack an ever increasing rhythm, but also a very high emotional level with another important interpretation of yours. (Titian): "Another song composed initially by Pacio, for which I composed the vocal line and wrote the lyrics. It is definitely one of the songs on the album that I love most to sing, probably my singing full of nuances and dynamics. "No One Else But Me", at first reading may seem the classic song that speaks of an angry ended, but as a matter of fact it is a real declaration of independence: "It's nothing but my way". Abandoning the flattery of the ego, the false needs, the external conditioning, all that remains is simply ourselves. 'Tear In The Wind' - Another very sweet passage where Marco Lazzarini's guitar accompanies and encourages Tiziano's voice. The final part of the album seems almost to sum up all the work, breathing deeply before the final leap. (Marco): "I wrote this piece in a very special moment of my life. 'Tear in the Wind' speaks of a recurring dream, a dream of those who leave you with a feeling of melancholy, but that once you wake up you can not remember. This taught me that the greatest pains can sometimes come back in ways and times that we are not able to foresee: only by facing the most has made us suffer we can finally free ourselves, and wake up serene. I recorded an early version of the song with only guitar and vocal, thinking not to propose it to the boys; I thought it was way too 'intimate' or personal, but in the end I chose to have the guys listen to it. They loved the song. Furthermore, the theme of the lyrics fitted perfectly in the concept, thus making it added into the track-list immediately. Titian sung the vocal line in a masterly way. I then chose to write a part for flute, played by the talented Carla Lupo, and to ask my 'trusted pianist' Antonio Agate to enrich everything with some orchestral effect. It 's the song that reveals most of me, and I'm very proud of it. (Titian):" When Marco let me hear this song for the first time, I was amazed. "You wrote a masterpiece," I told him. A ballad full of sensitivity and emotion like this, is a real gift for an interpreter. Singing in the studio was an incredible experience, I left aside the technique and virtuosity and I let talk the belly and the heart; I think it's a magical song. 'Be The One' - All the elements of the album come back and mingle in the title track, a convincing and impressive piece, with what seems to be the most important message of all the work:" But everyday you can be the One." (Marco): "The curiosity is that 'Be The One' was the very first song I wrote for LBZ after the release of 'Alwayz On The Run'. At the beginning I never thought it would become the song that would have given the title to the new album: the long structure is more articulated, presents different changes of dynamics and intents, even the musical theme of the chorus is not at all 'catchy'. A bit of the prog that always influenced me over the years came out, spontaneously and involuntarily. The vocal line enriched and enhanced everything, making it truly a song full of different atmospheres. A song where in some way, as you rightly point out, seem to join many elements present throughout the album. (Titian):" When I composed the melodic line of the song and wrote the lyrics of 'Be The One', I had clear in my mind from the beginning that it was also going to be the album's title, and therefore the general direction of the themes of the other pieces. We talk about "making a difference" every day, in our life and in our choices. Despite all the errors and failures - indeed, in some ways, thanks to those, we can always choose to get up and become what we want to be, free from constraints. "We do not need a hero, we all can be gods" is, I believe, the key phrase of the whole album: we do not depend on help from above or from fate, each of us has the power to make one's life unique . "